I am a huge fan of watches and yes I love collecting them (I got this passion from my dad!). 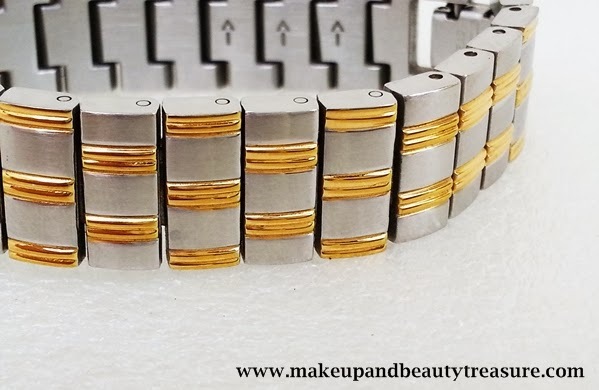 Titan is one of the best selling Indian brands and it is well positioned in the market based on the quality, price range, variety and stylishness. 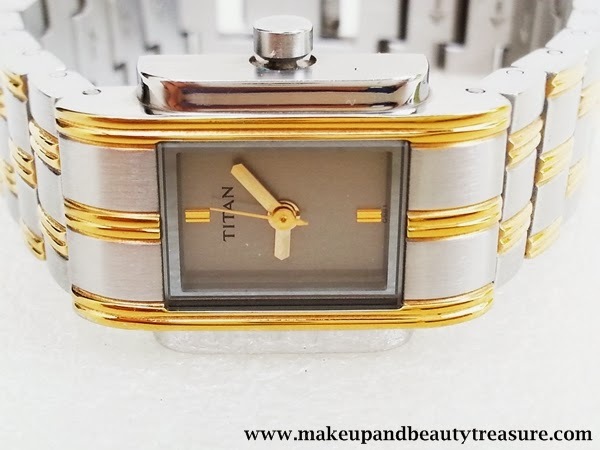 I always adore Titan Women watches and love gifting them to my cousins. 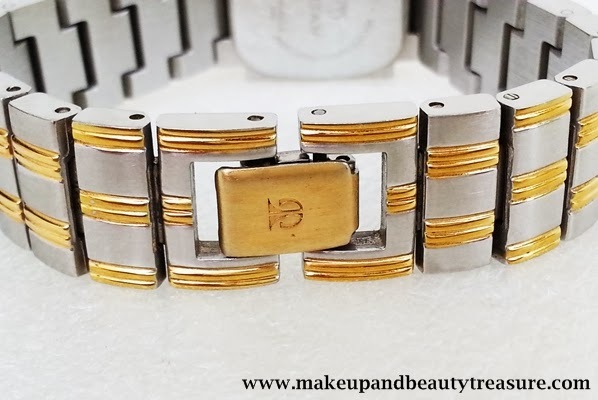 Today I am going to discuss my experience with Titan Women Grey Watch which my dad gifted me 2 years ago on my birthday (I got a beautiful watch today on my birthday too*happy dance*). 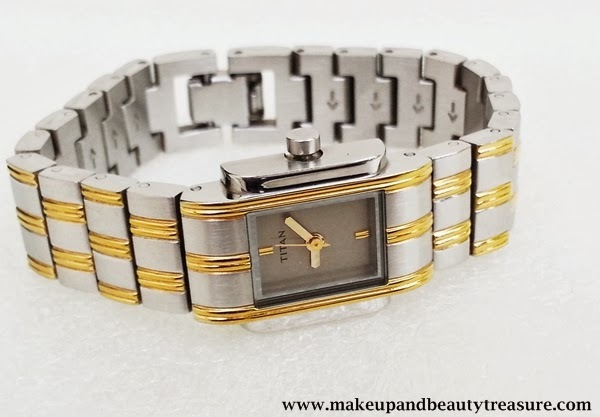 Titan Women Grey Watch is a grey-ish toned watch with two toned metallic strap or wrist band. I am really not fond of thick or big watches and prefer to go for lightweight ones. The watch has a grey face with two toned design on the dial. There are no numbers on the face but has two golden markings in place of 6 and 12. It is easy to read time and looks really elegant and sophisticated on my hands. The strap is two toned and looks good and classy. The watch can be worn on any occasion. I love wearing it whenever I hang out with my friends and family. I just wish it had date option but nevertheless I love the way it looks on my hands. The watch is durable and stayed in great condition for two years without any wear or tear. Luckily there are still no scratches on the face of the watch (I always take care not to scratch the face of my watch!). It is a waterproof watch and I really don’t care to put it in my bags whenever it is pouring. • The watch looks elegant and sophisticated on hands. • Can be worn on any occasion. • I think the model has been discontinued. I could not find it online. Overall I really loved this watch. It is that one watch that I wear more often. It is of good quality, reasonably priced and looks elegant on hands. I really adore Titan watches and would recommend to everyone! Do you love two toned watches? Share in the comments below! me in hunt for a good watch.. hope to find one soon.. This Watch is Lovely.. Now I Wanna See Your Budday Watch!